In this chapter, we report on three projects that focus on storybook reading as a way to improve distance communication with very young children. “Connected Reading” builds on the insight that communication technologies for families with young children need to focus on play rather than conversations, and that having a shared activity can help structure this play. Our prototypes span a range of embodiments, from mobile video conferencing with physical books, to eBooks, and finally to video conferencing enhanced with depth camera technology. 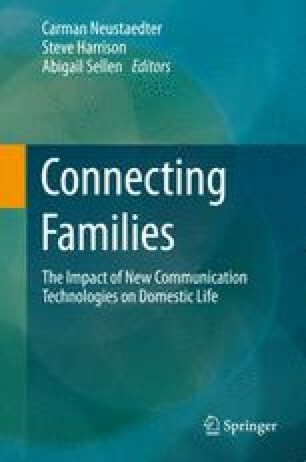 Our findings suggest guidelines to improve family communication with young children.